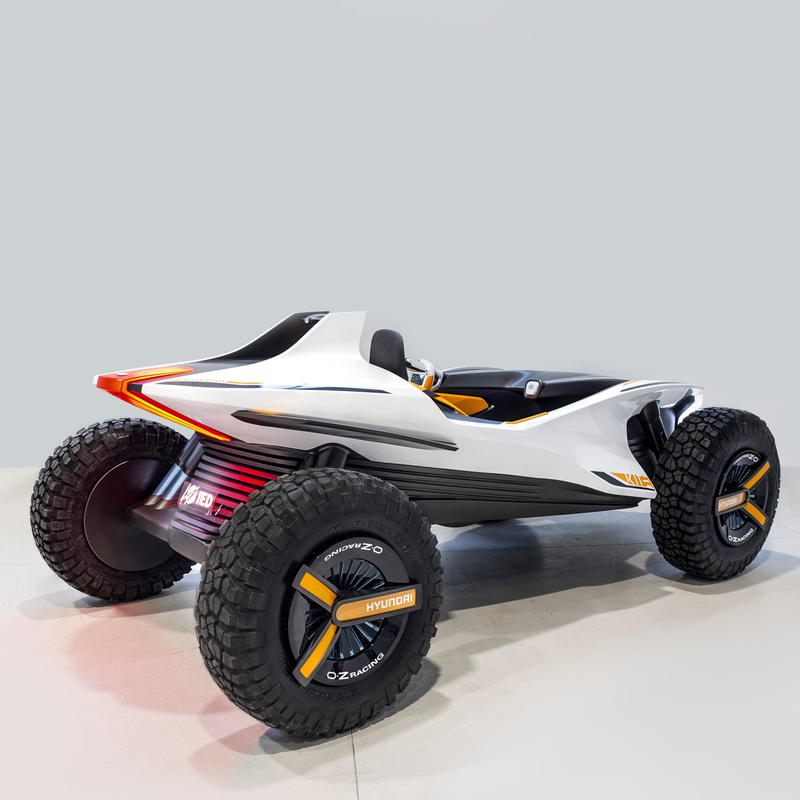 HYUNDAI KITE (length 3745mm – width 2235mm – height 1455mm – wheelbase 2580mm) consists in a monocoque chassis, outcome of the design that stems from the interiors and the exteriors of the vehicle, which is also a structural and mechanical feature of the concept car. The lines are thought to convey an idea of floating and freedom, strictly connected to idea of spending free time near the water. Its features are less formal thanks to the removal of the barriers between the interiors and exteriors and the elements that define them, like doors, pillars, roof and windshield: the surfaces interlace creating a continuum of unexpected twisting and intersections. 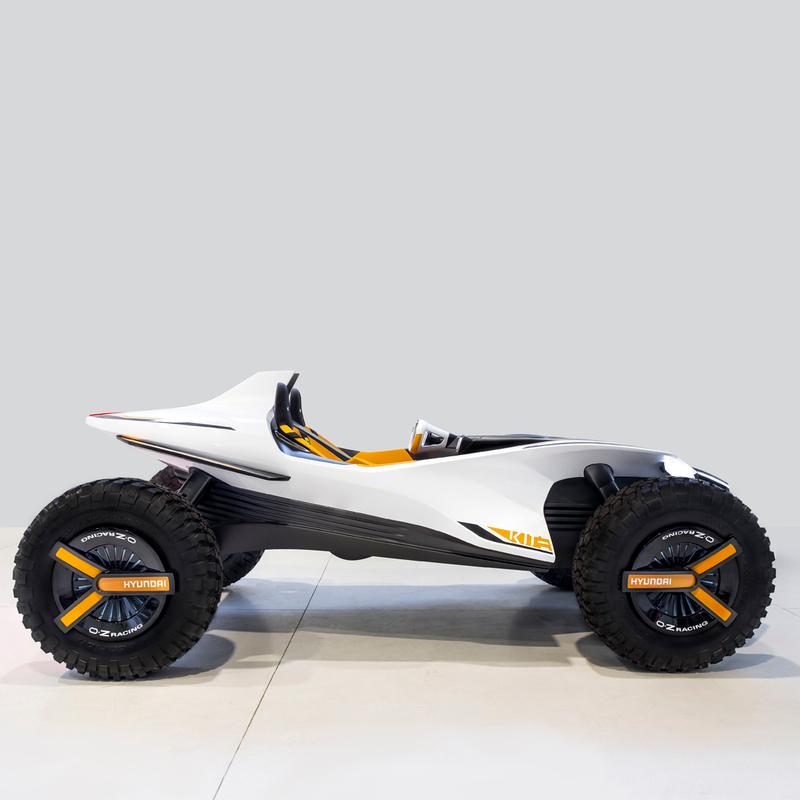 Both vehicles (dune buggy and jet ski) are endowed with electrical propulsion: for the one moving on the ground there are four brush-less engines placed inside the wheels, whereas the jet-ski propulsion is performed by a water jet turbine. Moreover, Hyundai Kite offers an intuitive and friendly human-car interaction, so as that the user’s mobile phone performs all the controls. Besides, the driver and the passenger positions can be exchanged by shifting steering wheel and mobile-pad according to their needs, driving style and the country. Due to design thought involved and the type of car, on this occasion the interiors were also prototyped. The gearbox of Hyundai Kite is the outcome of a joint collaboration between the Transportation Design and Product Design programs of IED Turin and Gruppo Sila, an Italian global player that manufactures and develops automotive components. Gruppo Sila will exhibit other two proposals of full by-wire gearbox developed by the same students. 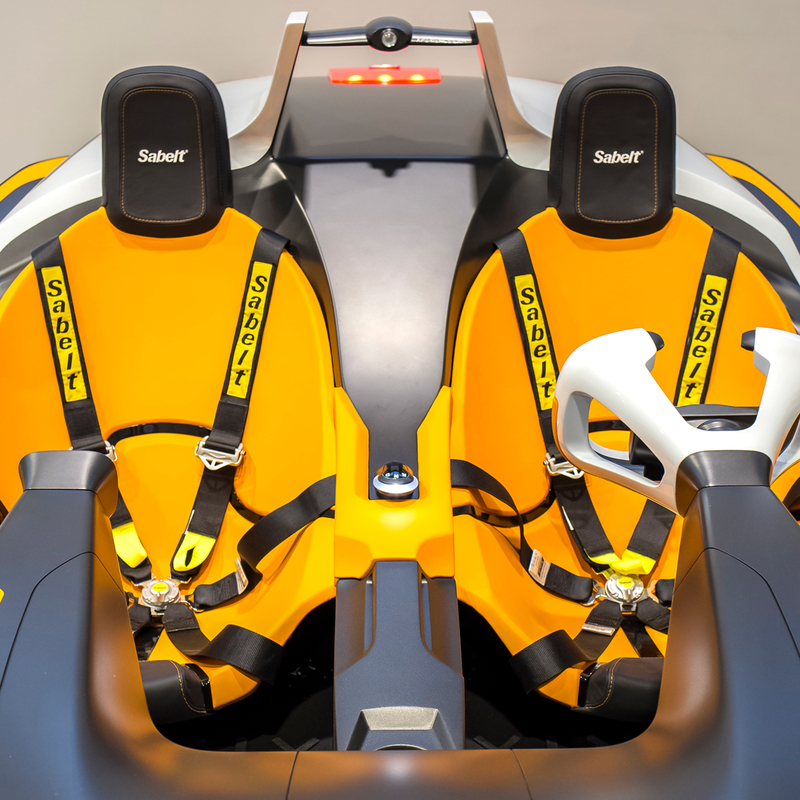 Whereas the seats and safety belts are the outcome of a collaboration with Sabelt. Eventually, the audience will have the chance to experience the concept car thanks to a virtual reality feature designed by Protocube Reply. 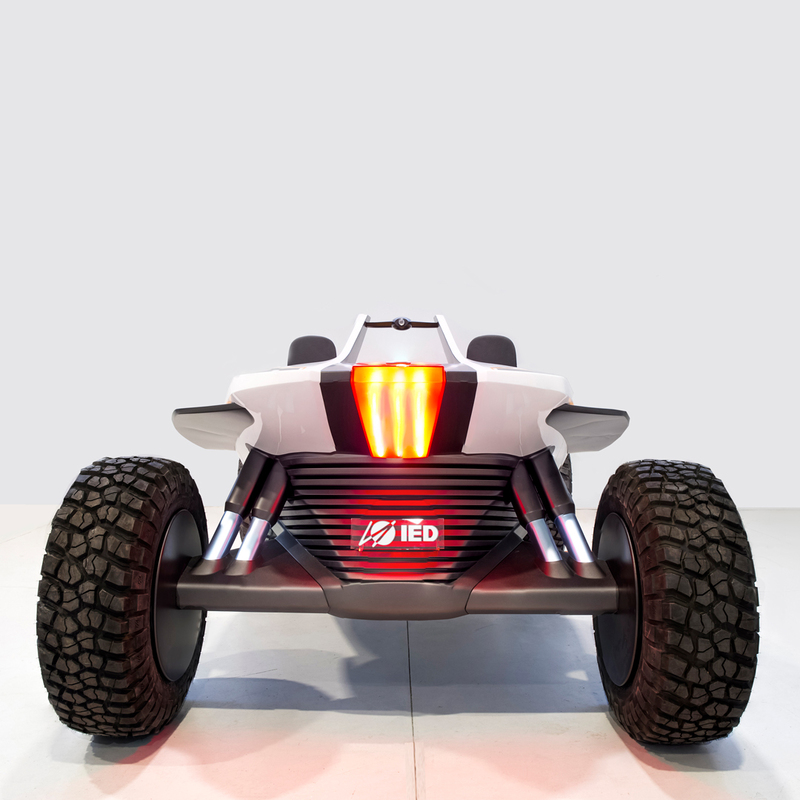 Hyundai Kite was designed within IED mobility lab– a studio for cross-disciplinary development and innovation linked to the theme of mobility- headed by Luca Borgogno, former student at IED, whose twenty years of experience culminated at Lamborghini and Pininfarina, who has always focussed on the research of the future of mobility. In fact, IED mobility Lab aims at teaching students to widen their horizons, providing them with a solid project culture that responds in the best way possible to the changes and challenges our world is facing. Following the same modus operandi, the fifteen students of the Master IED, under the supervision of the course coordinator Alessandro Cipolli and with the guide of Nicola Danza, Design Manager Hyundai, gave birth to Hyundai Kite, going through the same phases and processes of the biggest automotive design centres, thus giving them the chance to experience a professional environment. 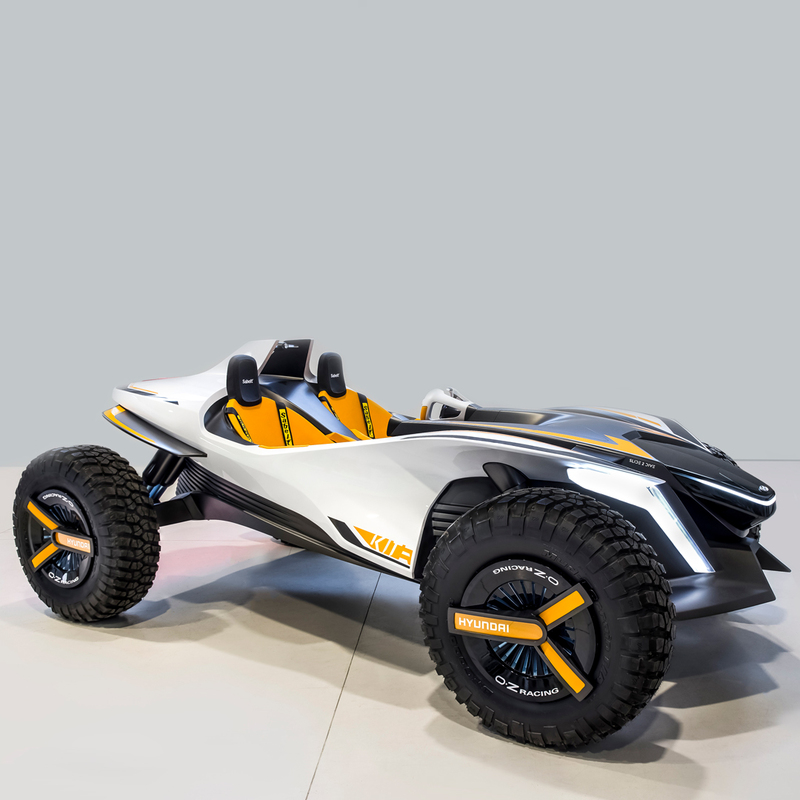 In fact, the project is the result of a teamwork as each student was asked to present a proposal that met the requirements of the brief by European Design Center Hyundai, then the best solutions were selected and combined into the final version of the dune buggy. Istituto Europeo di Design thanks the European Design Center Hyundai for the fruitful collaboration carried out with passion and enthusiasm. Hyundai Kite was designed by: Nicholas Luke Cho (Great Britain); Priankar Dasgupta (India); Jiabin Dong (China); Nithyanandhan Emmanuel (India); Ulises Esquivel Balderas (Mexico); Nishank Grover (India); Jin Kim (South Korea); Sai Sandeep Pentakota (India); Luis Rodrigo Rodrìguez Mèndez (Guatemala); Aditya Saraf (India); Alexandru-Calin Ticarat (Romania); Prashanth Vantimitta (India); Leonardo Vitale (Italy); José Andrés Yanes Belmonte (Venezuela) e Wu Zhengcui (China), students of the Master of Transportation Design IED Turin, a.y. 2016/2017.